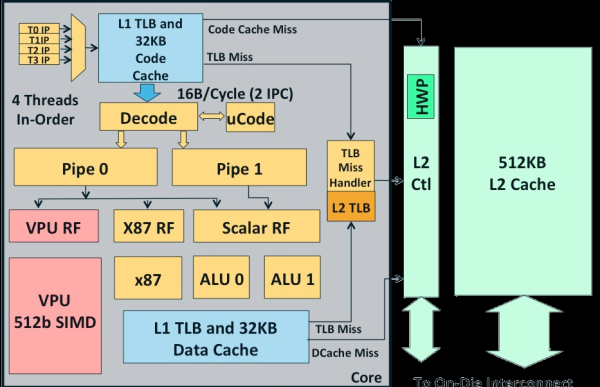 The Xeon Phi family of co-processors was announced in June, but Intel finally disclosed additional details.The Xeon Phi die is a massive chip: Almost 5 billion transistors using Intel's most advanced 22nm process technology with 3D tri-gate transistors. 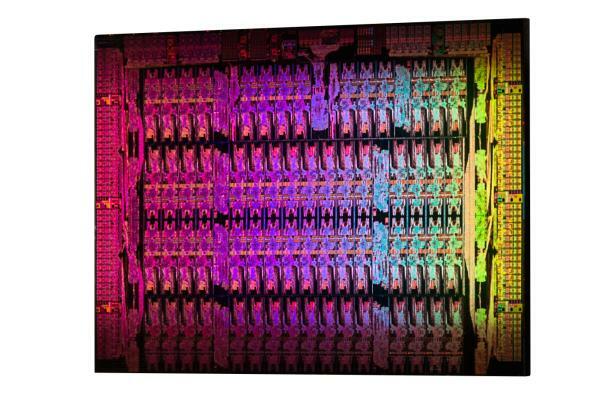 A maximum of 62 cores can fit on a single die. Each core is a simple in order x86 CPU (derived from the original Pentium) with a 512-bit SIMD unit. There is a twist though: the core can handle 4 threads simultaneously. Nehalem, Sandy and Ivy Bridge also use SMT, but those cores uses SMT mostly to make better use of their ample execution resources. In case of the Xeon Phi core, the 4 threads are mostly a way to hide memory latency. In the best case, two threads will execute in parallel. Each of these cores is a 64-bit x86 core. However, only 2% of the core logic (excluding the L2-cache) is spent on x86 logic. The SIMD unit does not support MMX, SSE or AVX: the Xeon Phi has its own vector format. 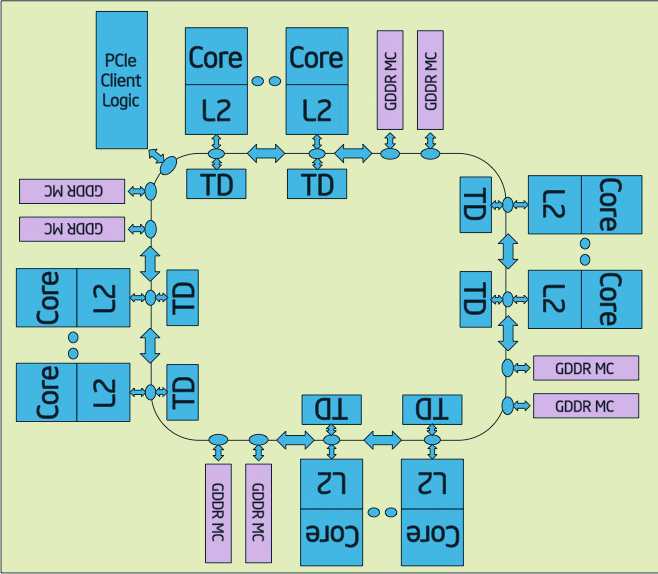 All of the cores are connected together with a bi-directional ring, similar to what's used in the Xeon E7 and the Sandy Bridge EP CPUs. Eight memory channels (512-bit interface) support up to 8 GB of RAM, and PCIe logic is on chip.